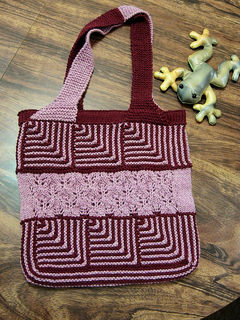 10 1/2" x 11" x 2" , handles 25"
Savvy Shoppers bring along their own bags to tote purchases home. 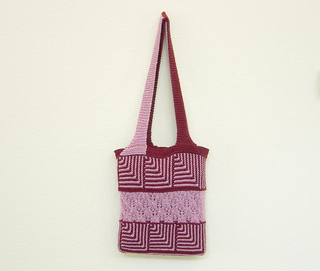 This bag combines an easy modular square with a lace insert. There are only two small seams and some tails to work in. The top facing will easily accommodate a lining.